Celebrating 20 Years with Entenmann’s Little Bites Muffins! 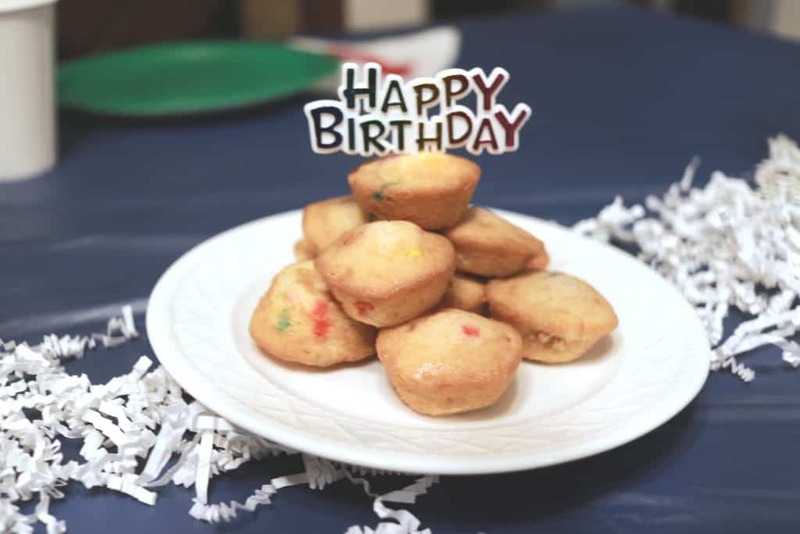 Entenmann’s Little Bites Muffins is celebrating 20 years with a massive birthday bash and we decided to jump in on the celebration for our own birthday fun! Disclosure: I am partnering with Entenmann’s. All opinions are my own. 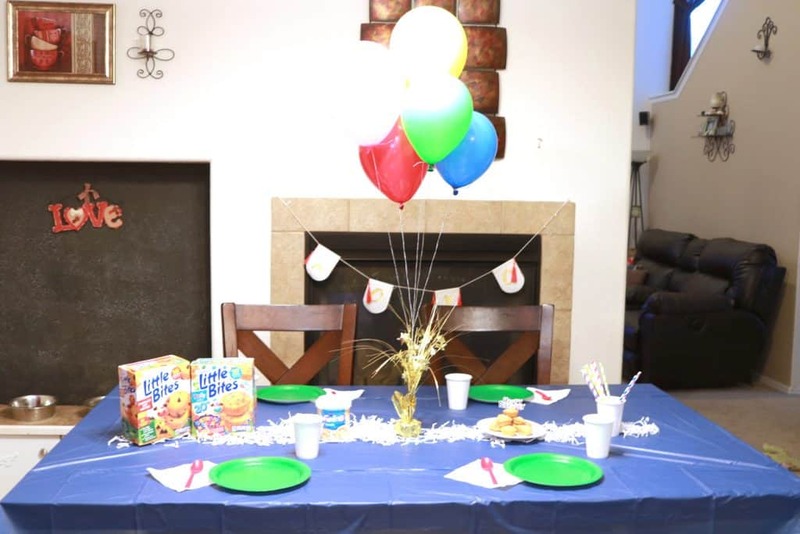 Originally I had planned to do this birthday bash celebration at my kid’s school to celebrate their upcoming birthdays with a super easy and pre-packaged muffin party, however, the stomach flu took us all down for almost 10 full days and the party did not happen. Our littlest is turning 6 in just a few weeks and was looking forward to her muffin party. We invited a few of our friends over (but again sickness took over) and we only had a couple friends join us. 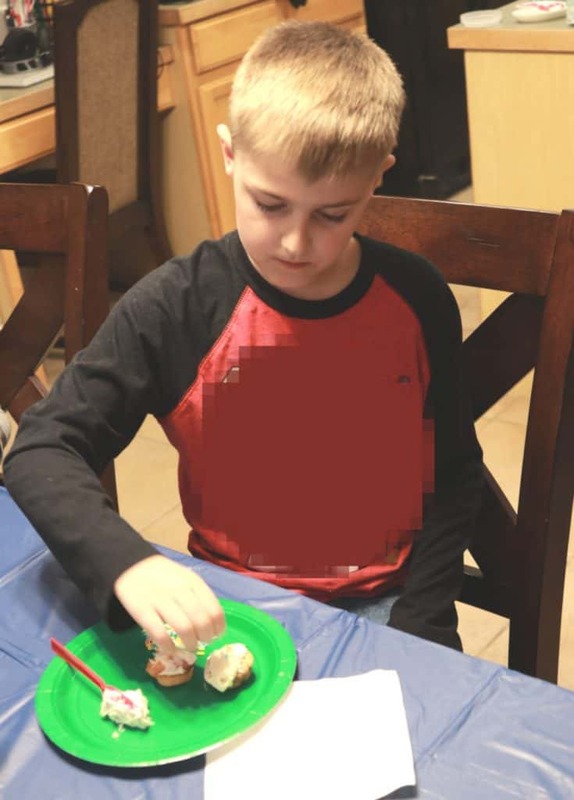 I set up a fun little muffin party complete with a muffin decorating event, muffin tic tac toe and some fun goodies for everyone to take home. Set up was easy and clean up was even easier. Simply, I put down a plastic tablecloth, some recyclable utensils and grabbed some balloons (which the kids loved taking home too). The table looked great and we were ready for the festivities. Set up only took about 10 minutes and it was a big hit for the little people. They were all clamoring to get at the table and start snacking and playing some games. I set up a little muffin tower cake out of the Entenmann’s Little Bites Party Cake Bites and added a little topper. Those tiny hands were all ready to gobble this tower down. 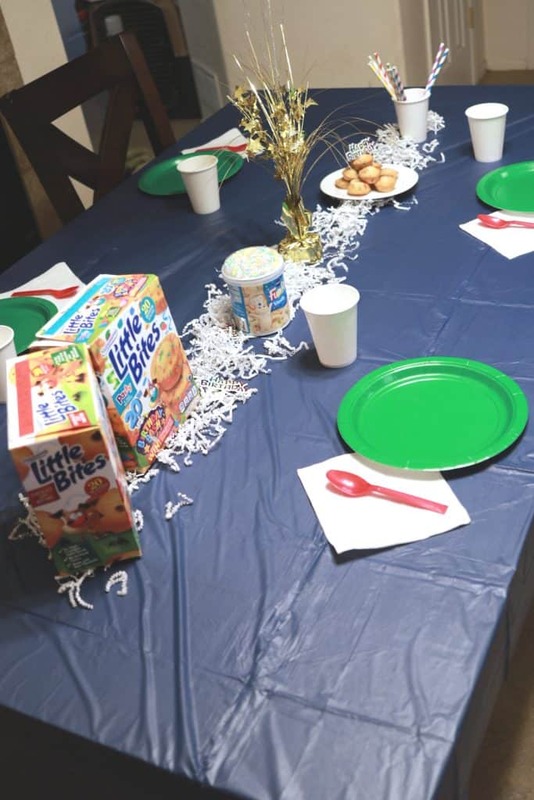 Once everyone was at the table, I went ahead and gave each kid a few muffins and a spoonful of vanilla frosting and some sprinkles. The got to work. Some were meticulous, making the most beautiful muffins and placing each sprinkle perfectly, before eating up that sweetness. This one’s exact words were, “my muffin cakes will be the best, because I worked the hardest”. Others plopped on some frosting and sprinkles and spent more time eating and laughing. I liked this one’s style. She always has been spunky and full of laughs. A party is not complete without games! We awarded a box of muffins to the winner of the best muffin decorator. 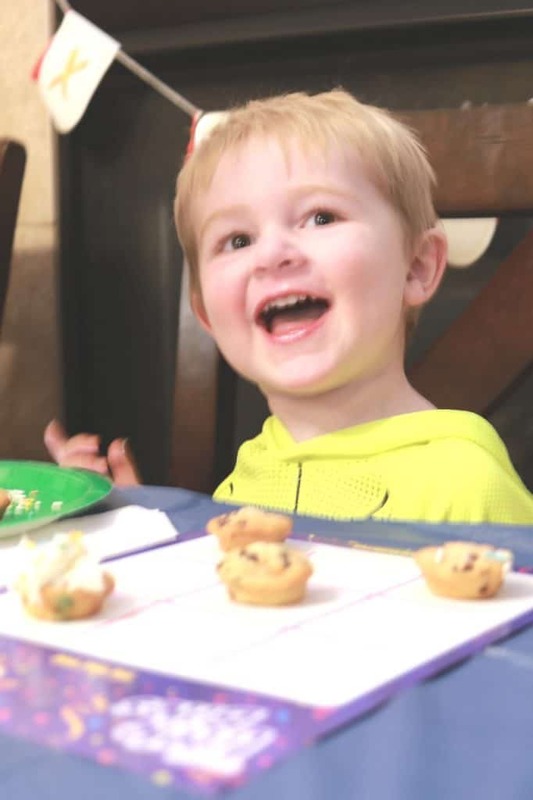 The little guy below (who obviously had some help), won the contest and was super happy to get his box of Entenmann’s Little Bites Muffins to take home! The next game was muffin tic-tac-toe and honestly, it was a hot mess. We tried to have frosted muffins vs. non frosted or even party cake vs chocolate chip and there was more eating then there was tic-tac-toeing. All in good fun, but I managed to snap this photo of pure happiness after he devoured a muffin that was on the game board! We also tried to build these cute little cootie catches, but again, those tasty Entenmann’s Little Bites Muffins took over their focus and they just wanted to snack. 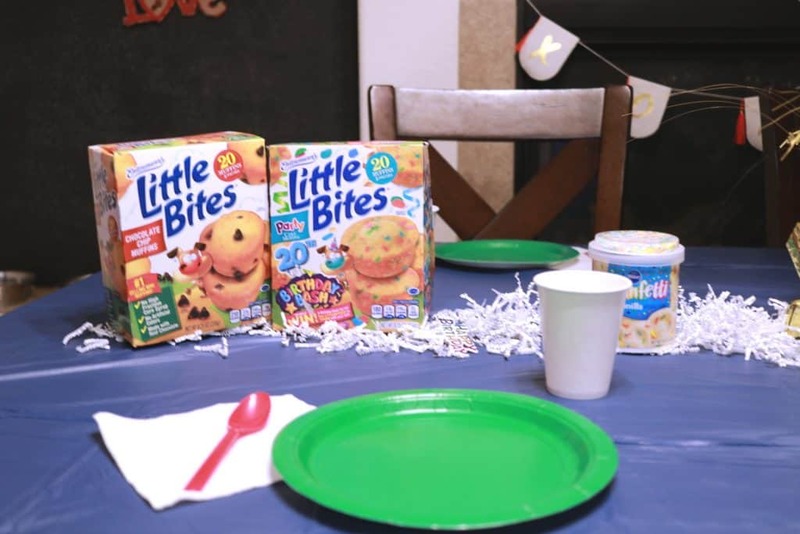 We ended our party with some Little Bites snack coupons and the box of muffins party prizes. 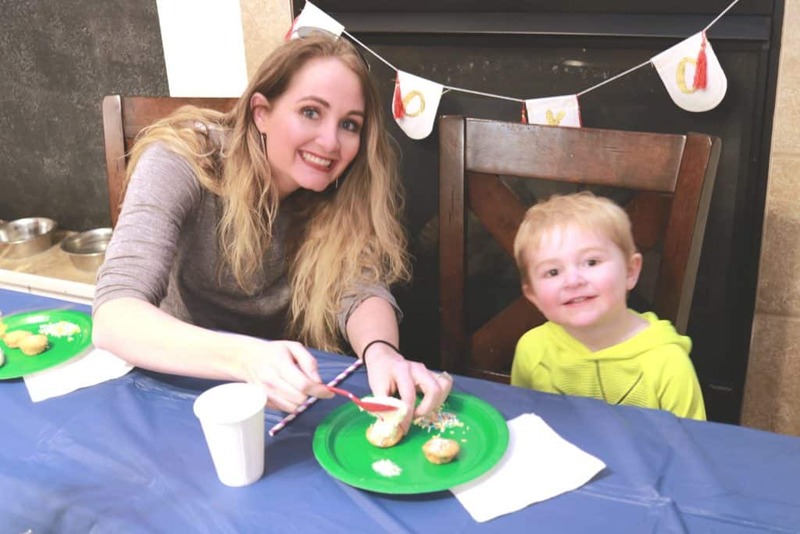 We had one little participant that wasn’t having it, but overall, the party was a great time and such a fun way to celebrate both Entenmann’s LIttle Bites Muffins 20th Birthday Bash and our little girl’s upcoming birthday! My daughter asked me to bring muffins to her class and play all the games again because she enjoyed it so much! We have been long time consumers of these bite sized snacks. I buy at least 2 boxes a week and they are gone quickly. Definitely a family favorite and for good reasons. 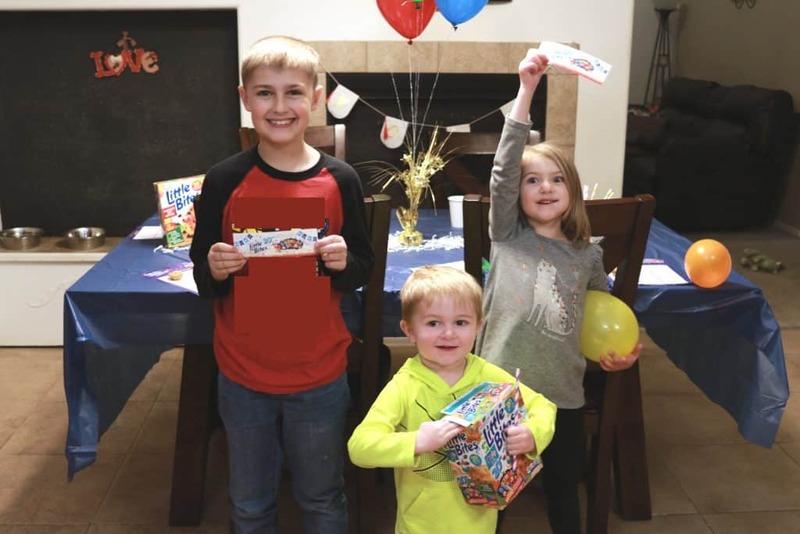 They have the yummy taste that kids love, no high fructose corn syrup, trans fat and they are made of real ingredients including strawberries, blueberries and bananas. I love that they are easy to take on the go and that they are available everywhere and have 10 different varieties and only 200 calories per serving. 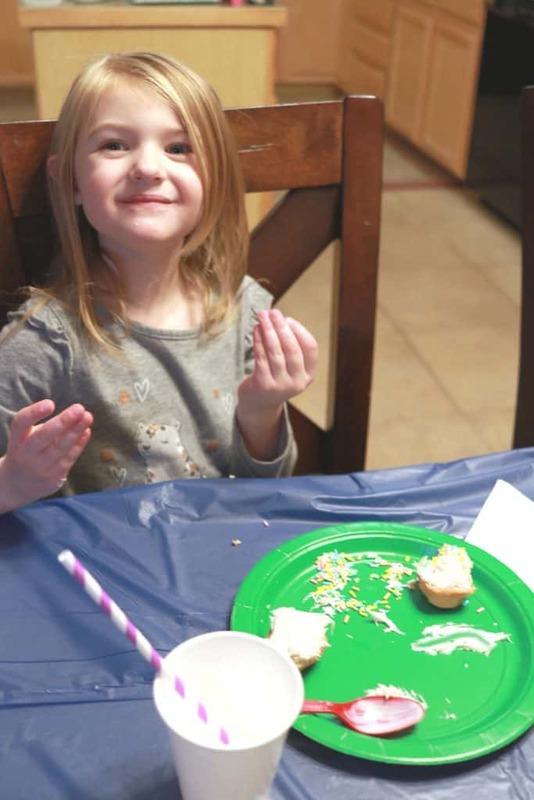 Are you ready to have a rocking muffin birthday bash with Entenmann’s?